According to the wiki, the batch is both black and chrome; 1093801-1097700** Leica M3 (Schwz Lackiert+chrom-ss). An enterprising capitalist could easily find a chrome M3 from that batch and repaint it black. Voila, an “official” black paint M3. This particular camera does betray signs of being a fake. The black rings around the two flash output sockets on the back of the camera are black. On authentic black paint M3 bodies those are chrome. The white lettering on this particular camera seems remarkably nice, and the brassing looks contrived. However, there could be an explanation that doesn’t involve deceit. As Tom Abrahamsson, he of the Abrahamsson Rapid Winder, notes, back in the day there were a lot of black M3 top plates floating around outside the official control of Leitz Wetzlar. Leitz would transform your chrome camera into a black camera for a fee. Dealers and importers had orders and none in stock – so Leica would fill the void by sending the dealer black paint top and bottom plates. 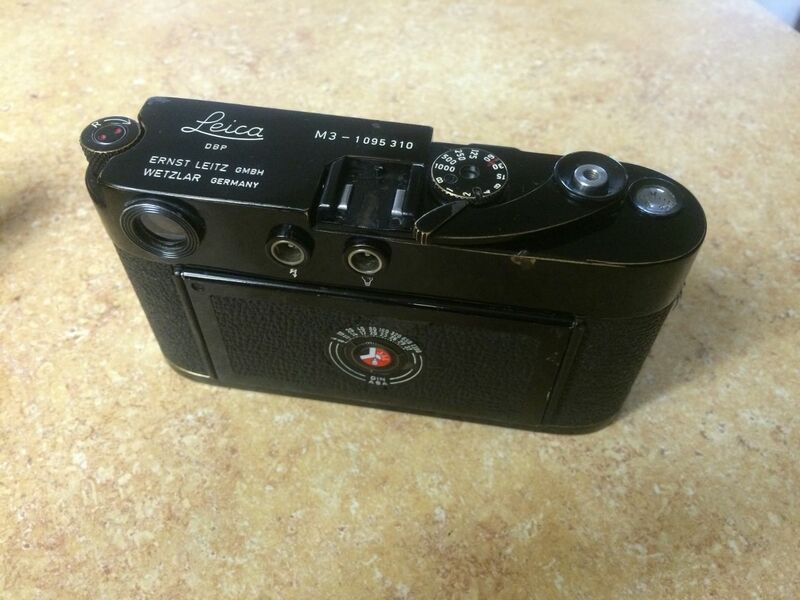 Bigger Leica importers had their own engraving machines with correct numbers. They removed the top plate, engraved the number of the chrome one on the black top – and then “destroyed” the chrome one. It wasn’t that expensive either – somewhere around $ 100 at the time. There are also numerous factory “non black paint list” bodies that were special orders. These do not show on the “official” lists – only in the shipping documents. 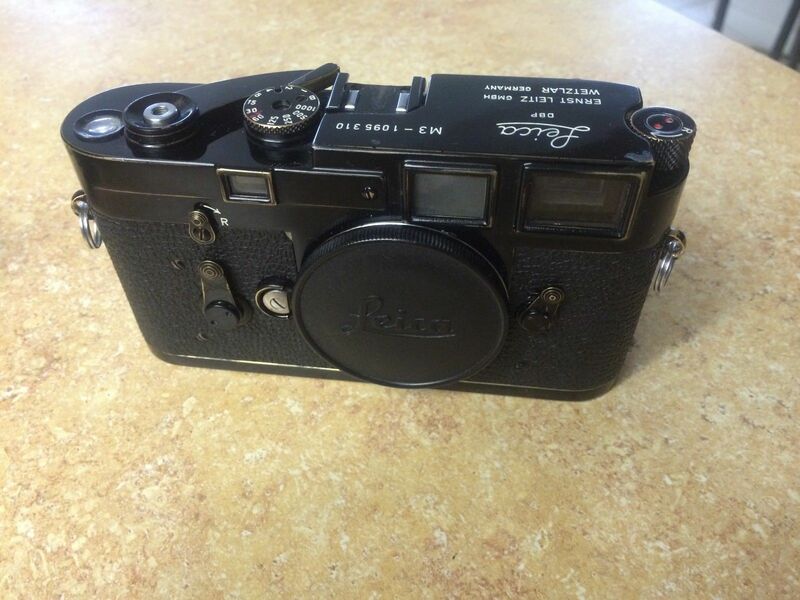 So, who knows, maybe some dude who loves guns and operates a sideline business of forging Leica M3 boxes to sell in units of 10 on Ebay somehow got himself a nice Black Paint M3, all legit. And the guy who bought this one on Ebay for $3100 got himself an authentic black paint M3. This entry was posted in Black Paint Leica, Collectible Leicas, Leica M3 and tagged Black Paint Leica, Black Paint M3 on February 21, 2015 by Leicaphila.